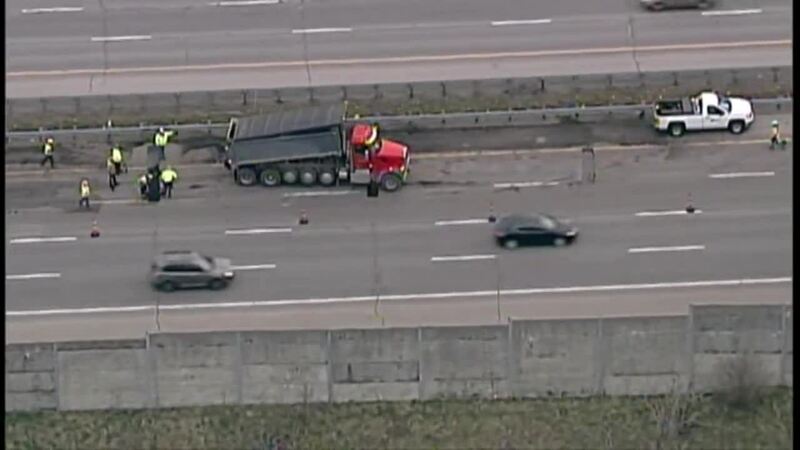 CLEVELAND — The Ohio Department of Transportation slapped a hefty fine on a contractor after it failed to wrap up construction operations ahead of the morning rush hour Tuesday. ODOT says Karvo Companies was the contractor working on I-480 eastbound, causing one of Cleveland's major highways to go down to one lane. Crews eventually wrapped up work around 8 a.m.
"We are working with the contractor to make sure this does not happen again," ODOT says. ODOT said it's fining Karvo Companies $300 for every minute they stay on the road after 5 a.m. The job has been suspended until Karvo comes up with a better plan, ODOT said in a tweet. Karvo Companies was the contractor on the job. We are fining them $300 per minute that they stayed on the road after 5 a.m. We have suspended the job until Karvo comes up with a better plan. Construction previously had the left lanes blocked after Miles Road, causing major backups during the commute.